MARI LUZ CORTES : LIST OF MCCANN VICTIMS: Claudia Lawrence still missing. EVERY loving parent holds their child a little tighter at the thought of Claudia Lawrence and others like her who are missing without explanation. But only those who have experienced the nightmare for themselves can understand the pain that Claudia’s father endures two years after the chef disappeared on her way to work. 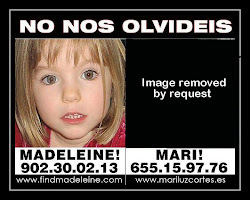 Which is why last Sunday, on Claudia’s 37th birthday, Peter Lawrence met with Kate McCann, the mother of Madeleine who will have been missing for four years this May. Together they prayed in York Minster for their own daughters, for each other’s and for the families of missing people everywhere, and found some comfort in the knowledge that someone else is living with the same unbearable sadness. “On the surface our cases are very different,” says the 64-year-old solicitor. The last confirmed sighting of Claudia was at 3pm on March 18, 2009, as she made her way home from her shift as a chef at the University of York. She spoke to her mother later that day, sounding bright and cheerful, but was never heard from again. She failed to arrive for work the next morning although police believe she set off as normal, taking with her a rucksack, her mobile phone and a set of chef’s whites. When Peter’s elder daughter Ali held her 40th birthday party at home at the end of January, Claudia’s absence was felt especially keenly. Cases like that of Joanna Yeates, the 25-year-old who went missing in Bristol last December and whose body was found on Christmas morning, rake up painful memories for the Lawrence family and every other family who has ever been in the same terrible position. says Peter, who lives in Slingsby, Yorkshire. “In Joanna’s case her body was found reasonably quickly. When any body is found part of me thinks it could be Claudia. Until Claudia’s body is found, or any evidence arises to suggest she is dead, Peter and ex-wife Joan – like the McCanns – will continue to believe their daughter is alive, somewhere. It is clear that strong religious faith has given both families strength. There have been claims focusing on Claudia’s private life that Peter calls “completely unhelpful”. 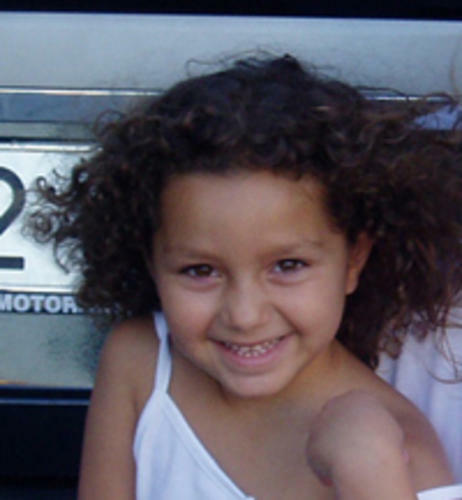 His comment was prompted by an appearance on BBC1’s Crimewatch in June 2009 by Detective Superintendent Ray Galloway, the officer leading the investigation, in which he said “some [of Claudia’s] relationships had elements of complexity and mystery”. But he adds: “In the main the press have been very good to us. And anything that keeps people thinking about Claudia and about anything they might know that could lead to a breakthrough is absolutely crucial.” Last autumn the investigation was scaled down. Not, insists Peter, due to police cutbacks but because there were not enough fresh leads coming in to justify a large, dedicated team. Yet he is reassured to know that there are still potentially valuable pieces of information trickling in. These may come from members of the public or other sources, including investigations under way elsewhere. “But it’s true to say they are not coming in the volume they did at first,” says Peter, who intends to stage another public event to mark the second anniversary of Claudia’s disappearance on March 18. In the meantime he aims to use his experience to help families of missing people. Earlier this week he addressed the All Party Parliamentary Group for Runaway and Missing Children and Adults about the difficulties relatives face in dealing with the financial affairs of their missing loved ones. More than 250,000 people are reported missing in the UK every year yet there is no law in place that makes it easy for their families to assume responsibility for their affairs in their absence. says Peter. “But thousands of families of missing adults cannot deal with the practical and legal issues that their missing relatives leave behind. Mortgages, banks, car insurance, telephone contracts – every practical aspect of adult life is just left hanging in the air. The committee agreed to set up a parliamentary inquiry. It is clear that after years of slow progress in the search for Claudia there is some satisfaction for him in achieving this step which may lead to the establishment of a Presumption of Death Act in England and Wales with no minimum time before relatives can apply for a declaration. But what is equally important to him is that people who don’t know what happened to a loved one are properly supported. He says: “At the meeting we discussed the fact that victims of even the most minor crimes are routinely offered victim support. Despite his dedication to this cause Peter’s focus on one goal is unwavering: to fi nd Claudia. And at the two-year mark he admits that the future of the investigation is dependent on the emergence of fresh information. The Lawrence family’s best hope lies with the public. “We know that someone out there knows something signifi cant, even if they haven’t realised it yet.